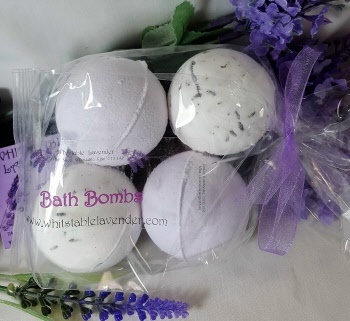 Lavender Bath Bombs in a pack of four with Lavender oil. 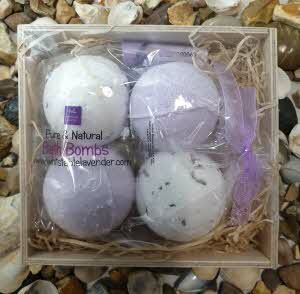 From our Pure - Natural range of products Artisan made Bath Bombs with Lavender oil. 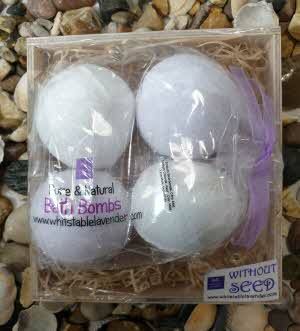 .Subject to availability, we aim to dispatch goods within 1 working day of receiving your order. All product sizes & weights are approximated. 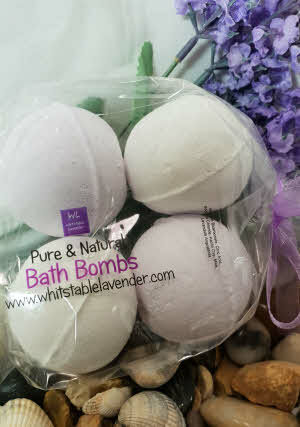 We can send gift orders to an alternative address with all price information removed.